Already been passed twenty eight years since Autopsy the Oakland based Death metal band were formed to give life to the most insane ideas and today be respected as one of the most iconic, gore, bizarre and brutal of all times, having in their history seven full lengths, three EP's and countless compilations that support their prestige and irreverence, said this, Autopsy the masters of gore could not let pass this year without giving us something that remind us who are they and why are they here, and they are not wrong to deliver their classical sickening, bloodiest and harrowing creativity. I still remember that time around 1990 when I got out to bought some records with the idea to experience something new for me at that time, so I picked up four tapes Possessed "Beyond the Gates", Obituary "Slowly We Rot", Death "Leprosy" and Autopsy "Severed Survival" the four records blew my mind away, I couldn't believe what I found, it was more heavier, evil and distorted than Metallica, Megadeth, Anthrax or even Slayer, but definitely Autopsy did a great impression on me due to the atmosphere crafted in that album, fuses in insanely manner of their sickening lyrics with their sinister and bizarre tunes. After twenty five years I experienced those emotions, every time I listen to Autopsy, I can tell you that emotion remains there intact, because they are absolutely committed with themselves with no style changes, Death metal at its finest, simple as it is, the first track that opens Side A is the opulent fast and aggressive "Strung up and Gutted" with the classic riff bizarre and dark that has defined them for years, spitting growl vocals to inflict fear, after this cut comes the self titled track "Skull Grinder" kicking off with some dense and slow tunes it turns into a gore fest with demential riff as torrents that spills all over the place, "Sanity Bleeds" starts the Side B, viscerally hauntingly, voices from beyond blends with the doom passages and the sharp guitar solo along the track shatters deep in your bones, "The Withering Death" continues with the same heaviness, virtually you can feel your skin ripping apart, slowly with every single rotten note, the agony has a voice with deeper growls leaving you hopeless, "Waiting for the Screams" doesn't disturb the balance at all and delivers the same pace loaded of vile anguish. 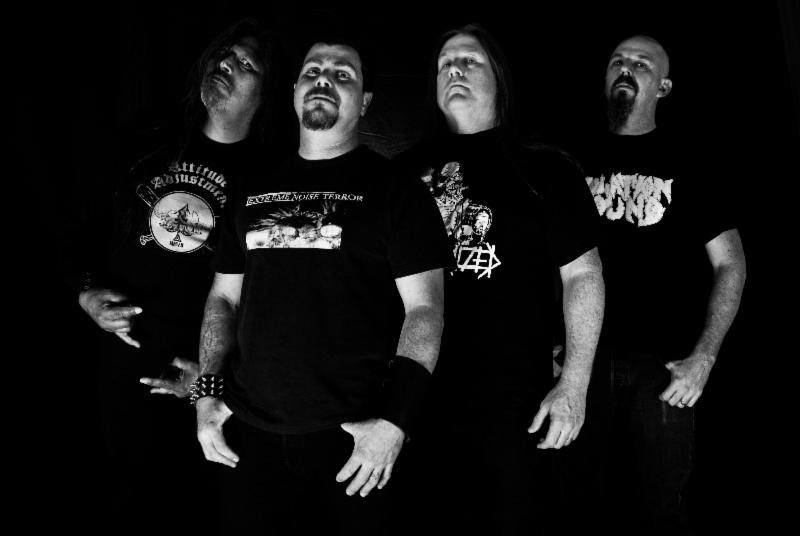 Autopsy has been able to put together a solid EP, with seven killer tracks that project them as one of the most reliable Death metal acts, the production is clear losing at some point the rawness of their beginnings, but they managed to succeed and capture their essence, there is enough savagery, blood and guts with a macabre and singular approach, mixed with the most sickest riff and brutal vocals then the result is "Skull Grinder" a piece worthy to check it out.